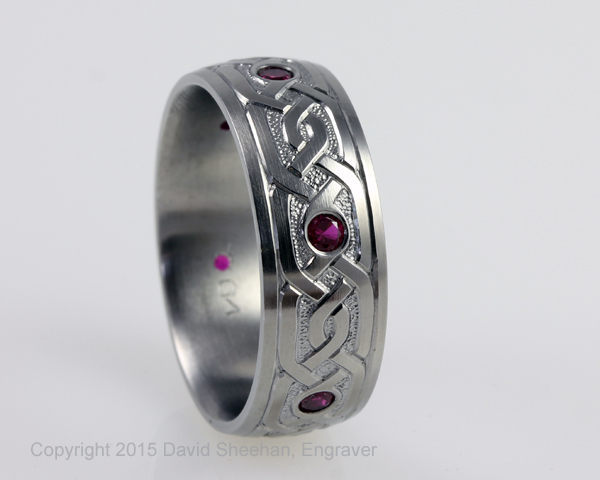 This is a deep relief, hand engraved Titanium ring with 6 rubies flush set evenly around the ring. The titanium ring has a slight dome and is of the highest quality grade. 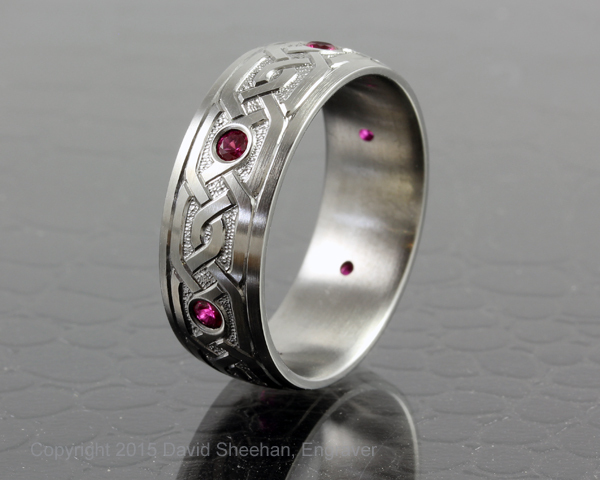 The rubies are set into the design using a flush setting technique otherwise known as gypsy setting. 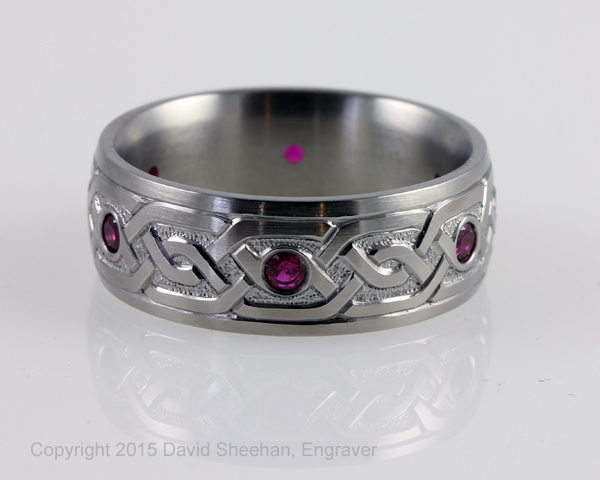 This is not an easy method of setting stones but this way the rubies become an integral part of the design itself. Here is a quick video that shows how it was made….